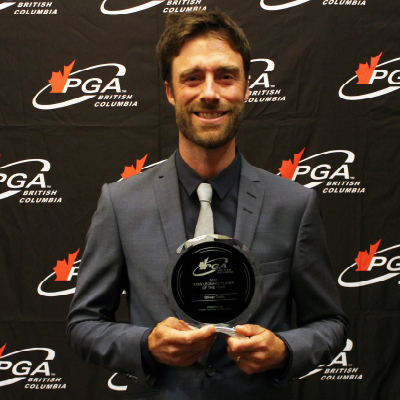 The PGA of British Columbia Awards are presented each fall. 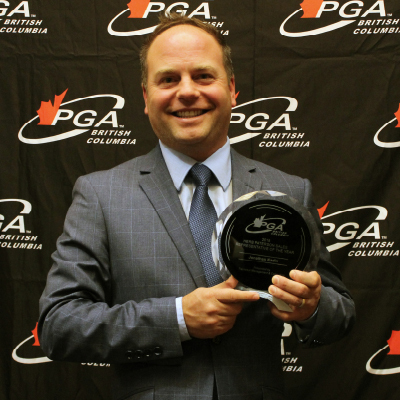 These honours recognize the individuals and golf facilities that are leaders in our Association, and acknowledging and honouring them helps elevate the profile of every PGA of BC member in the eyes of the consumer. More than a dozen award recipients are named each year, with 10 of those awards dependent on peer nomination. 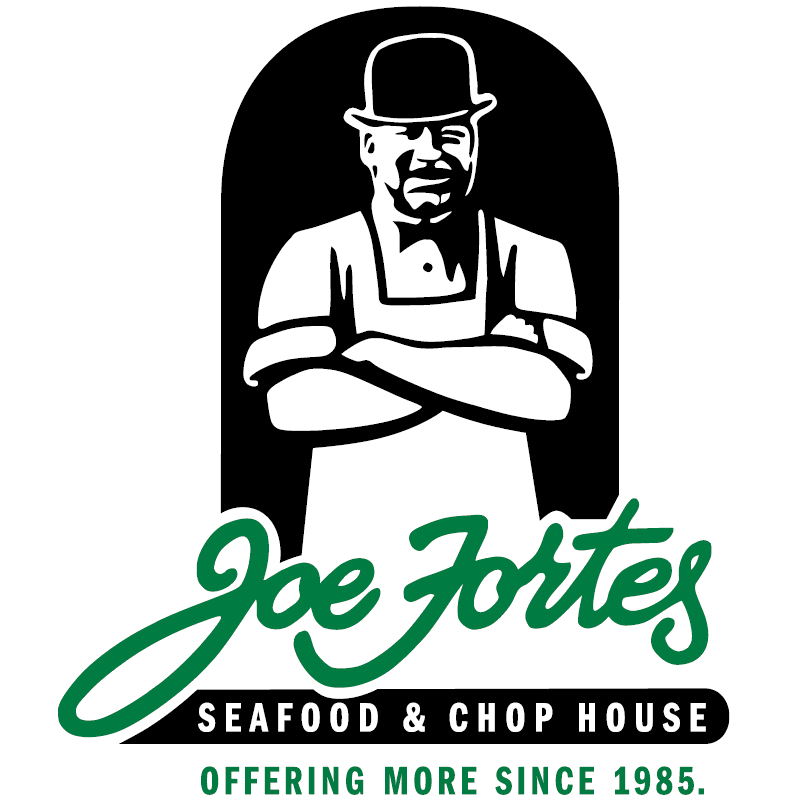 These nominations are then considered by four regional nominating committees, which develop a list of regional recipients that are finalists for the provincial award. 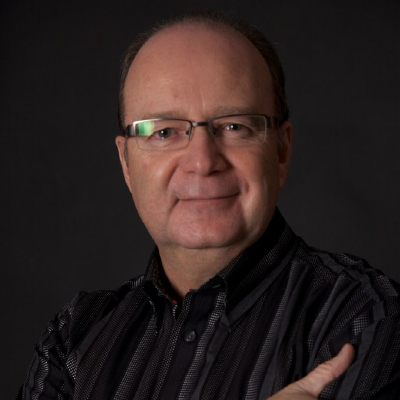 A Final Selection Panel, consisting of past award winners representing each region of British Columbia, then considers the regional nominees and selects the final recipients. 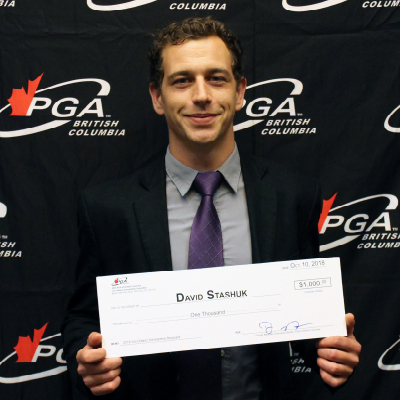 Final recipients are also put forward as British Columbia's nominee for eligible National Awards presented by the PGA of Canada. 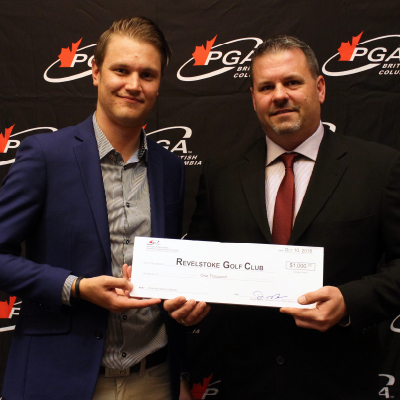 The 2018 PGA of BC Awards Celebration presented by Replay Golf Supplies took place Oct. 10 at the River Rock Casino Resort. The evening provided a chance to honour the best of our Association in leadership, instruction, competition and more. 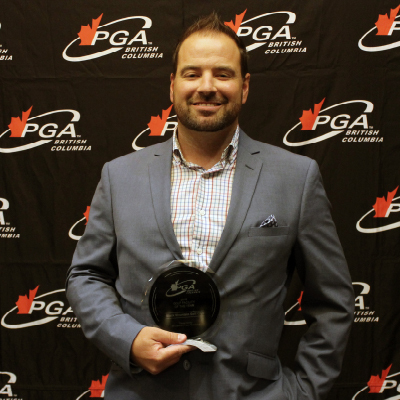 The Golf Professional of the Year Award is one of the highest honours the association can bestow on a working club professional whose total contributions to the game best exemplify the complete PGA of Canada professional. 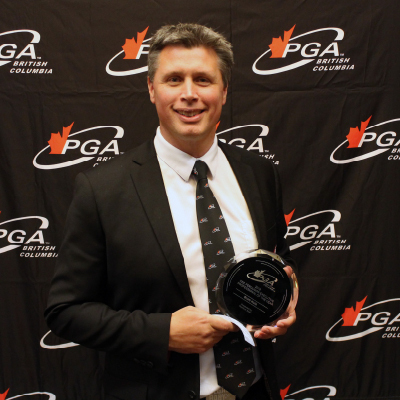 The highest honour the Association can bestow on a working Executive Professional whose total contributions to the game best exemplify the complete PGA of BC Professional. 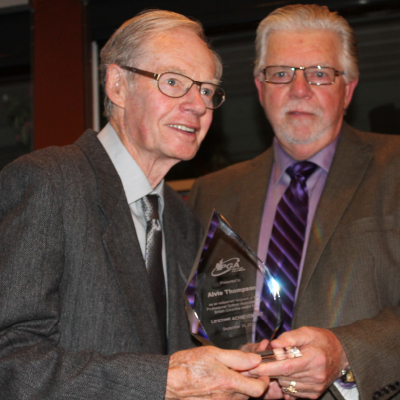 The highest honour the Association can bestow on a working Class “A” Professional whose total contributions to the game best exemplify a PGA of Canada Professional. 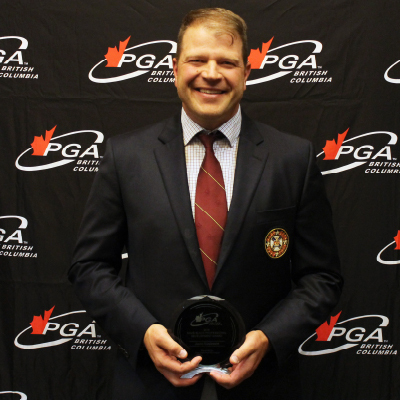 The highest honour the Association can bestow on a working Candidate for Membership, whose total contributions to the game best exemplify a PGA of Canada Candidate for Membership. 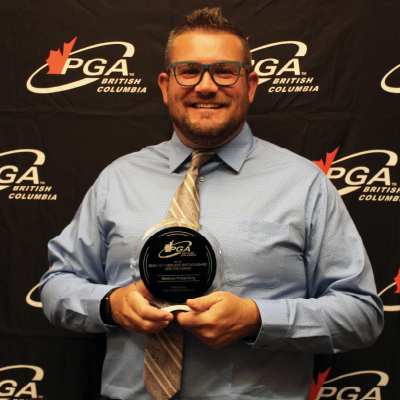 The Teacher of the Year Award is designed to recognize a PGA of BC Professional who is an outstanding teacher of golf among the ranks of the Association. 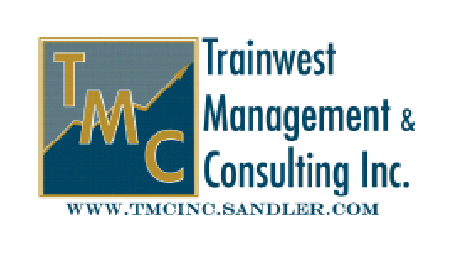 This award is based on a professional’s overall performance in teaching, special teaching programs initiated or implemented, articles published, as well as outstanding golfers the professional has instructed. 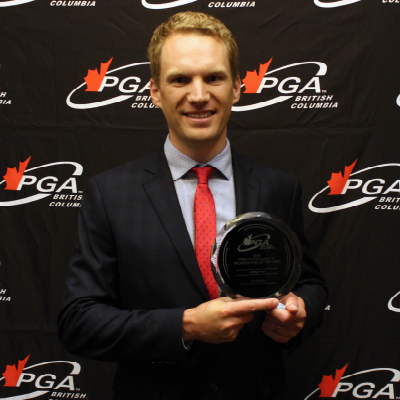 The Junior Golf Leader of the Year Award recognizes the PGA of BC Professional who champions youth golf programming and initiatives at their facility and in their community. 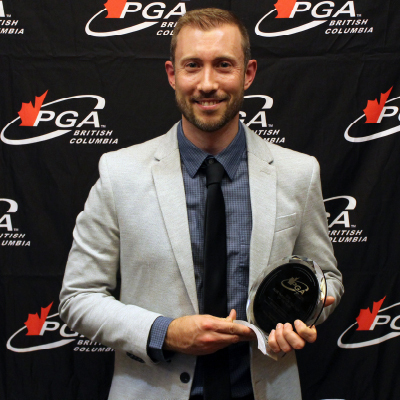 The Coach of the Year Award is designed to recognize a PGA of BC Professional who is an outstanding coach among the ranks of the Association. 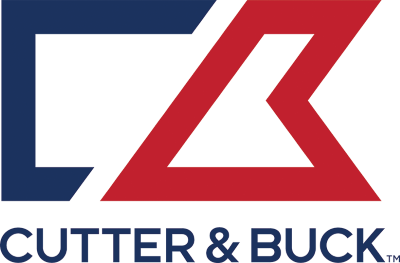 This award is based on a Professional’s overall performance in coaching, special coaching programs initiated or implemented, articles published, as well as outstanding golfers the Professional has coached. 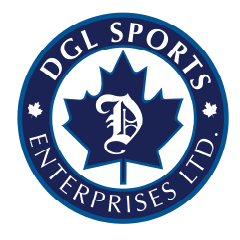 The Golf Facility of the Year Award recognizes an outstanding facility within the province that has demonstrated innovation and leadership in providing an excellent golf experience. 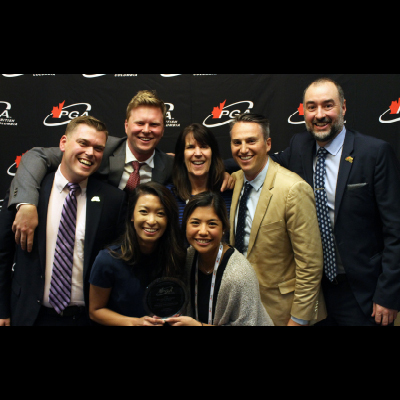 The Golf Shop of the Year Award is designated to recognize PGA of BC Professionals and their staff who have excelled as business persons/retailers in the promotion of golf. 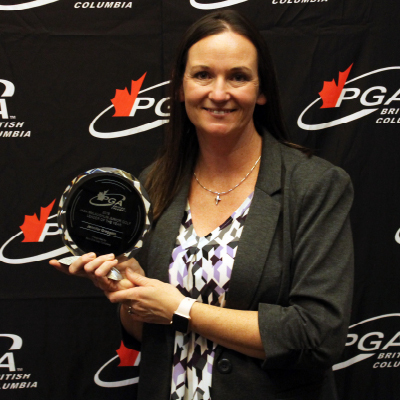 The Sales Representative of the Year Award recognizes an outstanding golf-industry sales representative who has demonstrated an exceptional level of partnership with PGA of BC member Professionals and facilities. 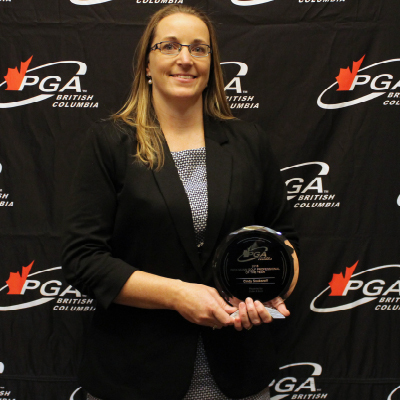 The Professional Development Award recognizes a PGA of BC Professional who is the model of life-long learning and continuing professional development. 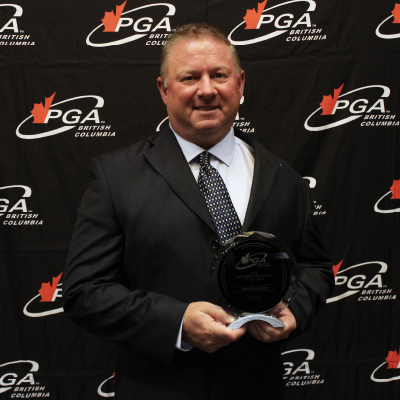 This award is designed to give special recognition to an individual PGA Professional for outstanding contributions to professional development and continuing education. 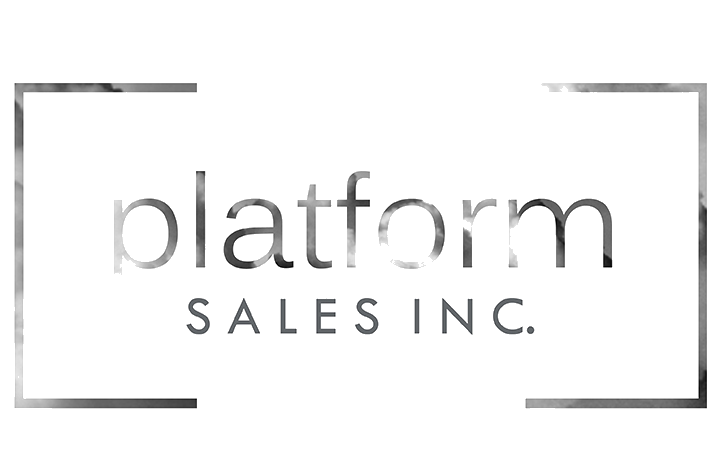 The Patron of the Year Award recognizes a person, group of people or organization that demonstrates an exceptional contribution to the Association's initiatives. The Distinguished Service Award is designed to honour outstanding member of the Association who displays leadership and humanitarian qualities, including integrity, sportsmanship and enthusiasm for the game of golf. 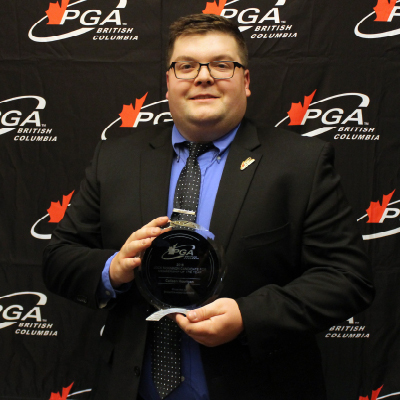 The Media Personnel of the Year Award honours a media member or organization that has made a significant contribution to the PGA of BC and wider golf community over the past year. 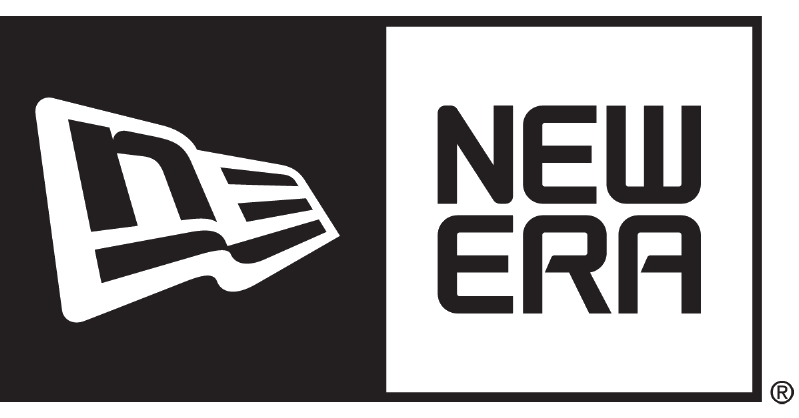 Determined by a committee and approved by the Board of Directors, and influenced by the Order of Merit presented by E-Z-GO and participation in national events and championships, the Player of the Year Award recognizes an outstanding player among the ranks of the Association. 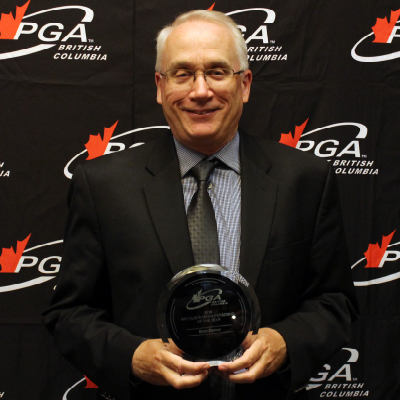 The PGA of BC Lifetime Achievement Award is a special accolade bestowed to individuals who have made outstanding contributions to the PGA of BC over an extended period of time through their actions on and off the golf course. This highest level of honour is not one that is awarded every year and has only been presented nine times in the history of PGA of BC.